50% Off How To Drain Your Dragon Collection As Low As $5.99! You are here: Home / Great Deals / 50% Off How To Drain Your Dragon Collection As Low As $5.99! 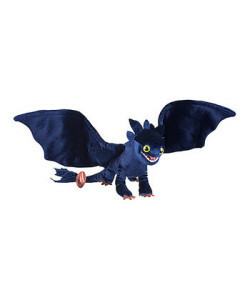 50% Off How To Train Your Dragon Collection As Low As $5.99! Don’t miss out on this fun sale! 50% Off How To Train Your Dragon Collection As Low As $5.99! Plush, Toys, Cups and more! All kinds of fun items just for your dragon fan or How To Train Your Dragon fan! Head over and grab this great deal at Zulily today!